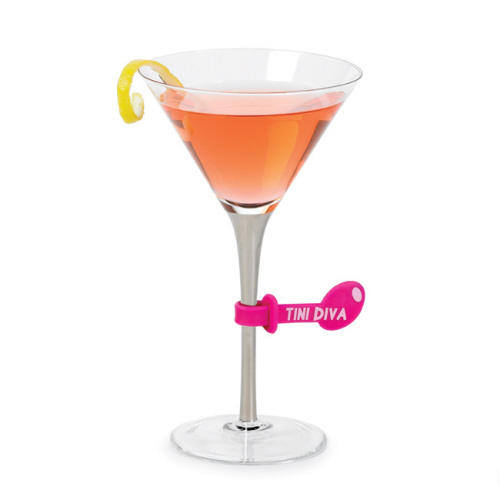 Clever and colorful, these bendy silicone belts attach easily to martini glasses so you can tell who's is whose. 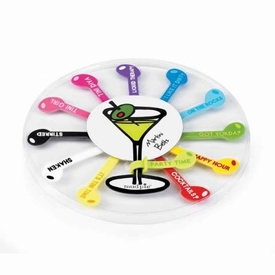 Set of 12 in varying colors with funny labels. 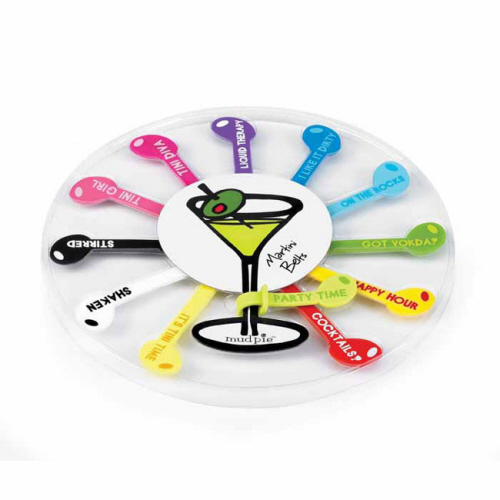 Packaged in cute circular plastic package, great for gift-giving or as a hostess gift! NOTE: Only a few left! SIZE DIMENSIONS: .5" x 3"
▪ Birthday Fill in the Blank Cups - 2 styles! Birthday Fill in the Blank Cups - 2 styles!